Displays generic information about the operating system, network addresses, uptime and load average. Read only. Displays free/used space on physical storage partitions. Read only. Monitors the CPU usage. Read only. Displays network interfaces and corresponding network traffic. Read only. Displays Physical and swap memory usage. Read only. 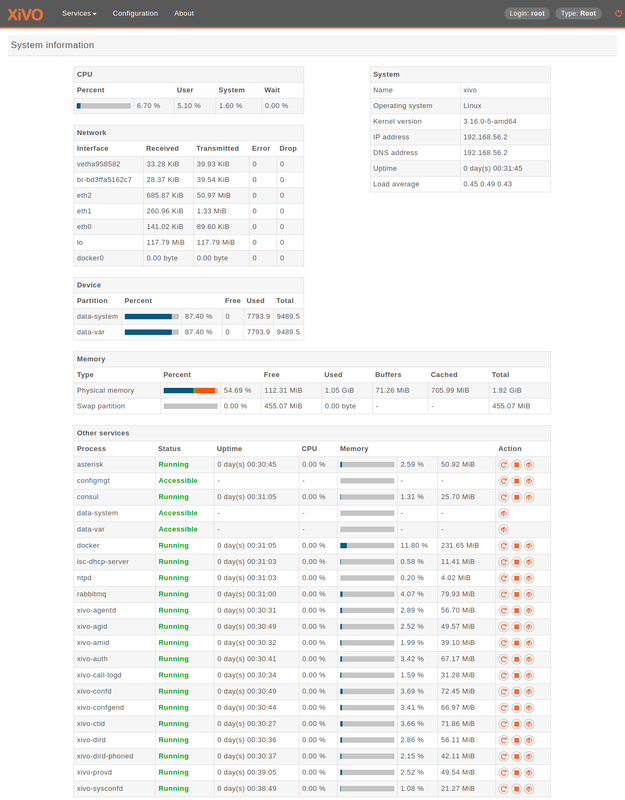 Lists XiVO related processes (most of which are daemons) with their corresponding status, uptime, resource usage and controls to restart service, stop service and stop monitoring service.